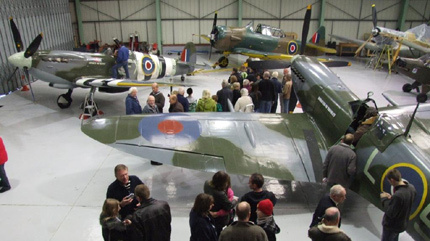 Saturday 19th November 2011 saw another popular event delighting ‘boys & girls’ of all ages in the thrilling and privileged experience to sit in one of two fully airworthy Spitfires at the RAF’s one-time premier fighter station at Biggin Hill. 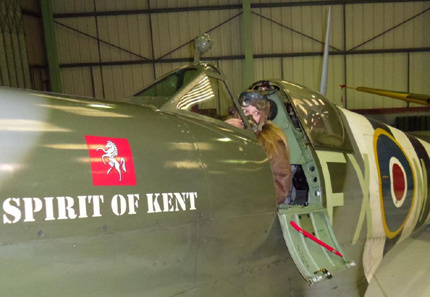 Much thanks has to go to ‘Spirit of Kent’ Spitfire owner Peter Monk and his terrific team for their kindness and generosity in trusting and allowing the ‘clumsy-foot’ and ‘sticky-paws’ brigade to sit in the cockpit of such precious machines and magnificent symbols of Great Britain’s heritage. Judging by the beaming smiles of the ‘sitters’, it was very much appreciated by one-and-all. If this is an experience you’ve yet to have, then the next event is on the weekend of Saturday 31st March and Sunday 1st April 2012. For more information please call the Museum on 01959 524416. 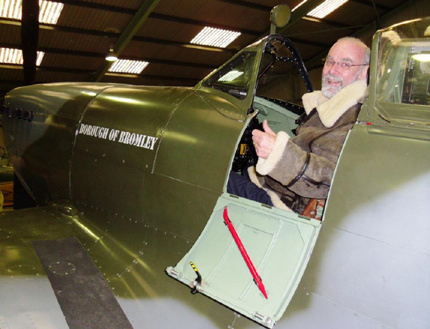 It is a sad duty to report the recent passing in late September 2011 of Battle of Britain veteran and Boulton Paul Defiant pilot Robin Lucas. He served with 141 Squadron until mid-1941 and just before leaving the squadron, Robin was flying on patrol in his Defiant night-fighter when Rudolf Hess made his dramatic flight to Scotland in early May 1941, but he was just too late to make an interception as Hess had baled out to be captured. 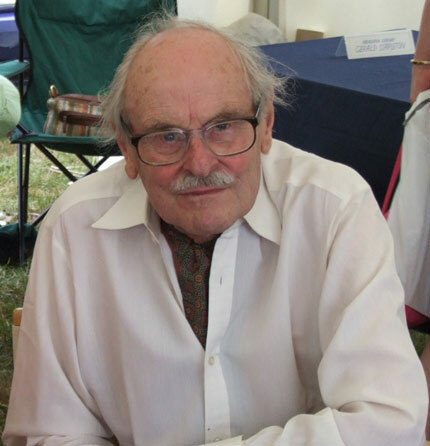 Robin was a tremendous supporter of Museum fund-raising projects and kindly attended several signing events including ‘Eagle Heights’ in 2006, where he was always a popular participant on account of being one of the ‘rarer’ turret-gun fighter boys. Blue skies Robin. 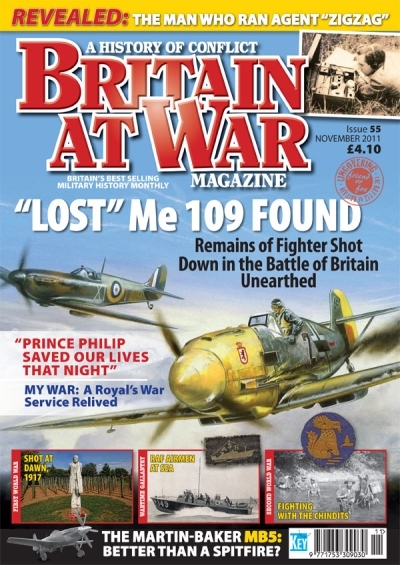 The Museum has been featured in a superb article in the November 2011 issue of the ’Britain at War’ magazine about a “Lost Me109 Found”. The cover artwork by our very own Geoff Nutkins depicts the combat that led to the demise of the Messerschmitt high above Maidstone in Kent during the Battle of Britain. 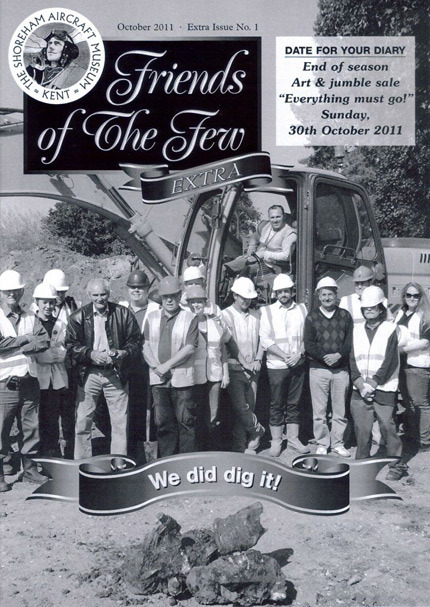 You are currently browsing the Shoreham Aircraft Museum – News archives for November, 2011.